Ginger Cochran, Innocent, 2018, 60 x 60 in., mixed media. Ginger Cochran, Fervor, 2018, 30 x 40 in., mixed media. Ginger Cochran, Magnify, 2018, 36 x 36 in., mixed media. Ginger Cochran is a contemporary, mixed media abstract artist living in Dallas, Texas, with her husband and two sons. 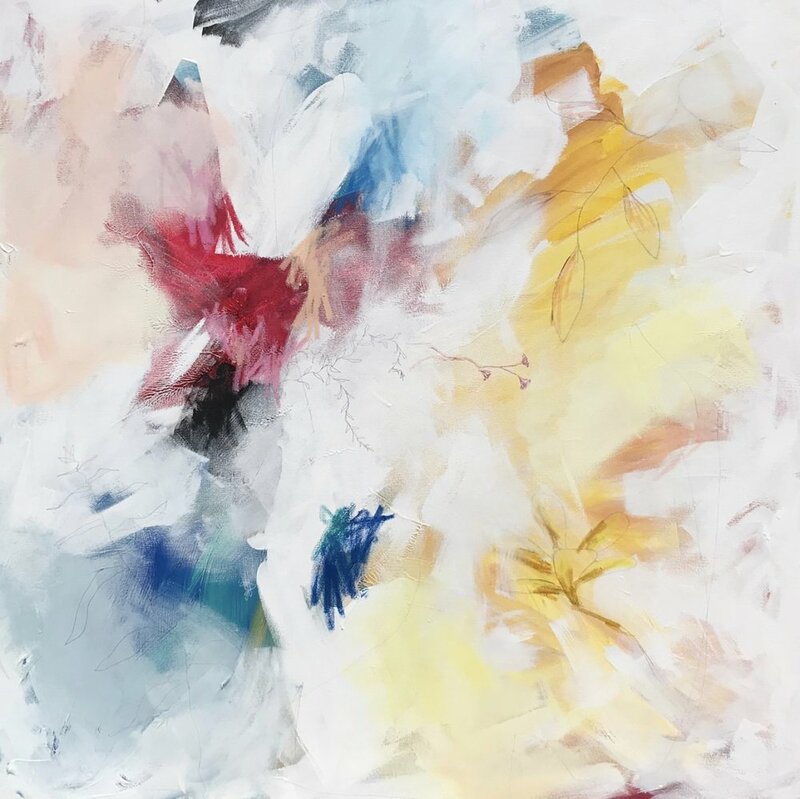 Ginger is entirely self-taught in both acrylic and watercolor, ranging from portraits to fan art, and now focuses entirely in abstract work, using a variety of media with an acrylic base. Inspiration also emerges simply from the medium itself; evolving from one application to the next. Her style depicts the merging of bold colors, textures and strong, forceful applications of medium. Exemplified throughout her work is the recurring theme of movement, color and textures delivered by mixed media, as well as an effective use of negative space, line work and pattern. Her work effectively compliments many interior design styles, from modern, contemporary to eclectic. Each painting can either act as a focal point/conversation piece or an accent to the design. Eager to please, Ginger works closely with clients on commissions to create one-of-a-kind works to be enjoyed by families for generations to come.